In Hoegen v. Hoegen, the Massachusetts Appeals Court addressed whether it was a double dip to include restricted stock unit income in a child support order when those stocks had already been considered in the asset division. The Appeals Court determined that the income should be included in the calculation, because the child support income definition is broad. For more on that decision visit: Income: What's In and What's Out when Calculating Child Support? In contrast to the child support guidelines, Massachusetts law on alimony specifically excludes income from previously divided assets: "When issuing an order for alimony, the court shall exclude from its income calculation: (1) capital gains income and dividend and interest income which derive from assets equitably divided between the parties under section 34..." MGL c. 208 § 53 This means that the RSUs addressed in the Hoegen case would not be included for alimony calculations. But what about stock options that were unvested at the time of divorce? 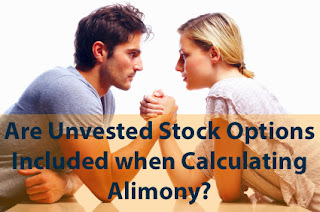 Are future and unvested stock options included in calculating alimony? The Appeals Court addressed this question regarding the inclusion of unvested & future employee stock options for alimony calculations in Ludwig v. Lamee-Ludwig. The short answer is that they can be included, and it is not a double dip because they were not part of the asset division in the divorce. 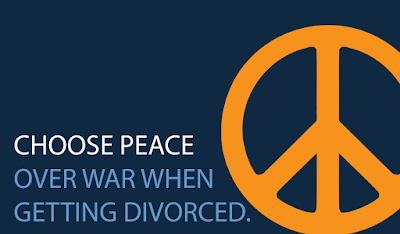 In Ludwig, the trial judge concluded that "it would not constitute double counting if such income were included in determining the husband's alimony obligation to the wife" and that the options should be valued on a date "closest in time to entry of the original divorce judgment." The husband appealed both issues and the Appeals Court agreed with the trial court. It is worth noting that the parties divorce was completed by agreement, leaving only these two issues to the judge's discretion. They failed to reach agreement on these issues in their divorce agreement thereby leading to this additional litigation and appeal. This highlights the importance and value of mediation and collaborative approaches, which place self-determination above the risk and expense of court resolution. Because of the application of the "time-rule" from the Bacanti case, the unvested options were not included in the asset division by the parties' agreement. The appeals court noted that this avoids the injustice of a double-dip "because the contested shares were not part of the equitable distribution of assets; by operation of the time rule, they were assigned to and retained by the husband outright." The husband relied on language in the Bacanti case indicating that unvested options "belong solely to the employee spouse." However, the appeals court distinguished Bacanti as dealing only with asset division and not alimony obligations. The husband also appealed the timing of valuation, which the court chose as the date of the divorce, but the husband argues should have been the time of separation. The appeals court defers to the discretion of the trial judge on this issue. There is also an important "dicta" in this decision which might concern other payors resorting to litigation. The Appeals Court noted that "[w]hile disfavored, double counting is not prohibited as a matter of law", thereby opening the door for other recipients to argue that a double dip may be appropriate even beyond the facts in Hoegen or Ludwig.